If ever you needed confirmation that the Gold Coast is THE destination to visit, you only have to look at the demand for Commonwealth Games tickets! An incredible 1.2 million people requested tickets for the 2018 Games, with many of the successful sports fans adding extra days to their visit. Of course, the Commonwealth Games are a major lure, but that doesn’t get away from the fact that visitors from all over the world love the Gold Coast. With the Games rapidly approaching, Broadbeach accommodation apartments have been very much in demand. But the fact is, they are pretty popular all year round. The Gold Coast’s spectacular winter climate is a major plus for visitors, along with the amazing beaches, endless attractions, and stunning scenery. 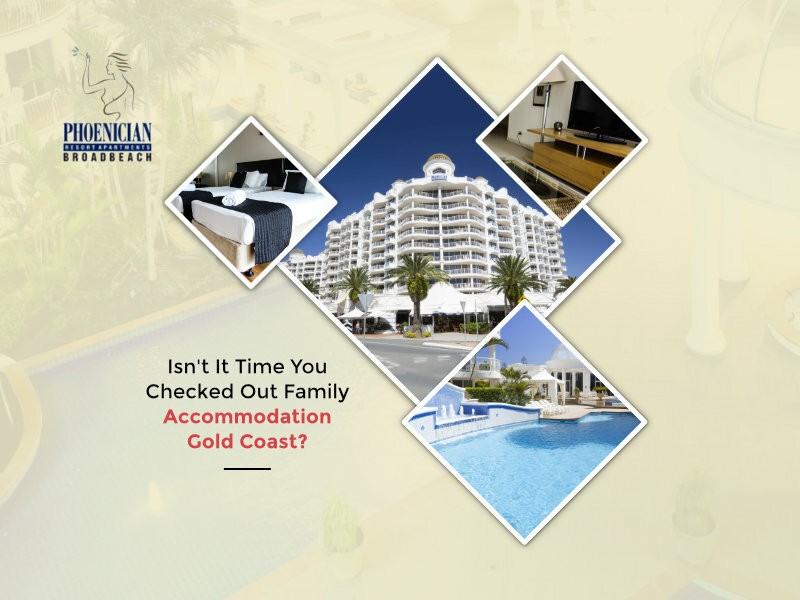 For family accommodation Gold Coast, Broadbeach is a great choice. With AAA 4-Star resorts located just metres from the beach, parents can enjoy luxury and convenience. If this is the plan, be sure to check out the resort’s facilities and accommodation. With the great deals available, it’s possible to get a spacious 2-bedroom, 2-bathroom apartment in Broadbeach, with separate living, fully equipped kitchen, laundry facilities, air-conditioning and Austar. If they’re not offering that much bang for your buck, look elsewhere. The same goes for the facilities. Expect at least one swimming pool – and preferably a second, heated one, too. Not to mention a spa, sauna, gym, games room, tour desk and more. 2 bedroom apartments in Broadbeach can work out very economical – especially if the living space also includes a sofa bed. At a push you can squeeze in a family of five or six. Having a proper kitchen – as opposed to the microwave and kettle you get in most motels – means you can keep the costs down. It will also keep tired, hungry, grumpy offspring at bay! And, of course, it’s all about location. Do your research and you could end up just metres from the patrolled Kurrawa Beach. Broadbeach accommodation apartments also remove the need to drive everywhere, or take taxis. Cafes, restaurants, shops and cinemas are within walking distance. So, too, is the Gold Coast Convention Centre. If you do want to go further afield, the roads and trains are excellent, or simply ask the tour desk at the resort to book you on an excursion. The great thing about the Gold Coast is that there really is something for everyone. Nightlife and birdlife, beaches and bars, surfing and shopping – it’s all right there, on the doorstep.